Deciding which Volkswagen to buy is just the first step in the car-shopping process. Once you’ve chosen the perfect VW Jetta, Volkswagen Tiguan or Volkswagen Passat for your lifestyle, the finance team at our Volkswagen dealership near Riverview, FL, will help you through the rest of the process. Not sure whether you’d like to buy or lease a Volkswagen? Use our online payment estimator to compare monthly payments or schedule a VW finance appointment and let our experts help you choose. We strive to provide each customer with a competitive Volkswagen car loan and affordable lease contract by working with an array of credible lenders. 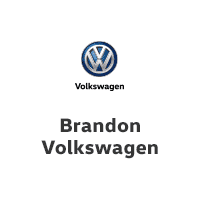 If you’re ready to drive home in a new Volkswagen or pre-owned VW you love, let the Brandon Volkswagen finance professionals guide you from point A to point B. Get a head start when you apply for VW financing online! Plus, we offer Volkswagen lease offers and VW finance specials that can help you save big when you shop at our Tampa Bay VW dealer.